Only ordering zero power lenses - now you can order them conveniently in 2 packs. 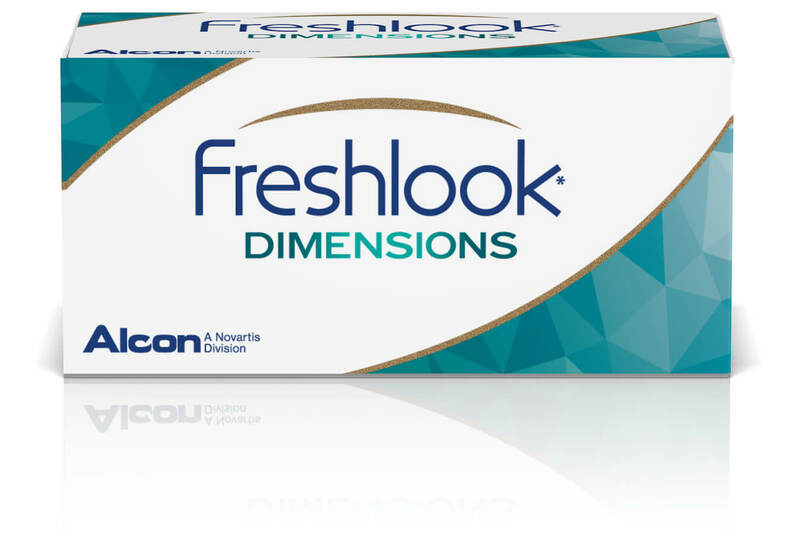 To order FreshLook Dimensions in other powers please click here. These lenses enhance or change light eye colours for a beautiful natural look. Frequent replacement provides superior comfort and convenience. Unique among enhancing contact lenses. FreshLook Dimensions combine a dark outer starburst pattern that makes eyes appear bigger and brighter, with translucent colors that add depth and dimension. 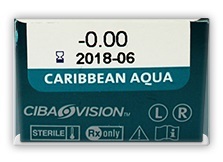 FreshLook Dimensions are available in three colors - "Pacific Blue", "Sea Green" and "Caribbean Aqua" and are designed for lighter-eyed patients. These are 55 per cent water content monthly colored disposables and come in packs of 2. These lenses are designed to be worn for one month or up to 30 times over a longer period for occasional wear, as long as they are properly cleaned and handled. 1) These lenses come in packs of 2. To order 2 pairs (2 lenses for each eye) put one box in the quantity drop down for the right and left eyes. You can, if you want order one pair (one box). In this case only put one box in the right eye, leave the left blank and proceed to checkout. Thank you. Note: All colors represented are only approximate and may appear different on the eye, depending on your eye color. Be the first to write an online review of Freshlook Dimensions Zero Power and share your thoughts on this product with other shoppers!